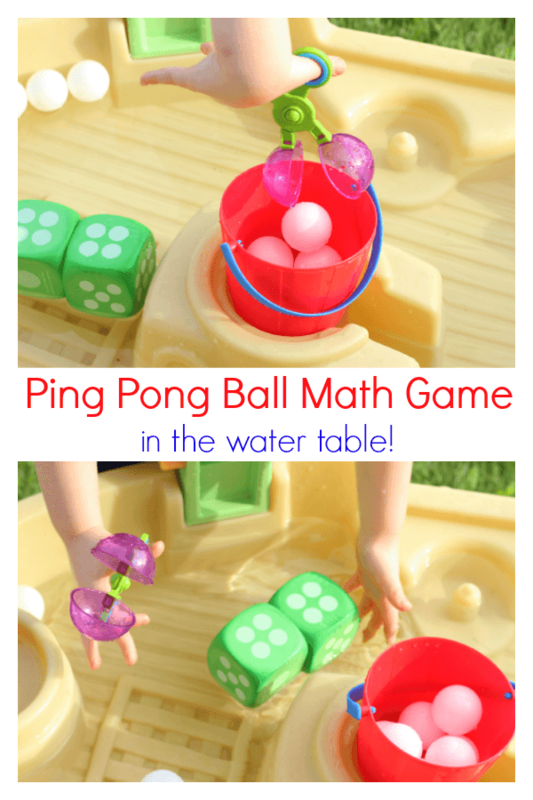 This ping pong ball math game is a fun way to learn and play in the water table. 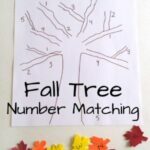 It is an excellent preschool math activity for summer! We have lots of balls around our house. 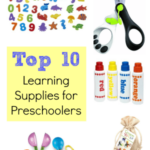 We often use them to play learning games of all kinds. This ping pong ball alphabet game was a huge hit and we had tons of fun making words with bouncy balls and ball run. They are also perfect manipulatives for math games. 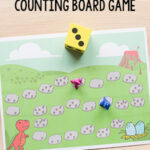 This math game was a fun and highly effective way to work on one to one correspondence, adding two numbers and counting. 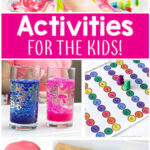 I also added in some fine motor practice to get the most learning out of this activity. 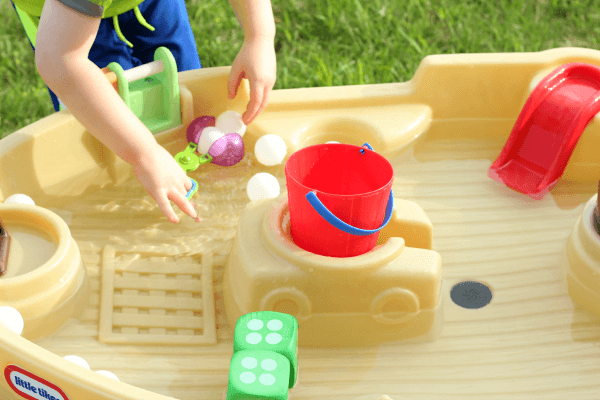 I thought it would be even more fun to bring the learning outside in the water table. Evan enjoyed all aspects of this activity. I was pleasantly surprised by how long he wanted to play this game. 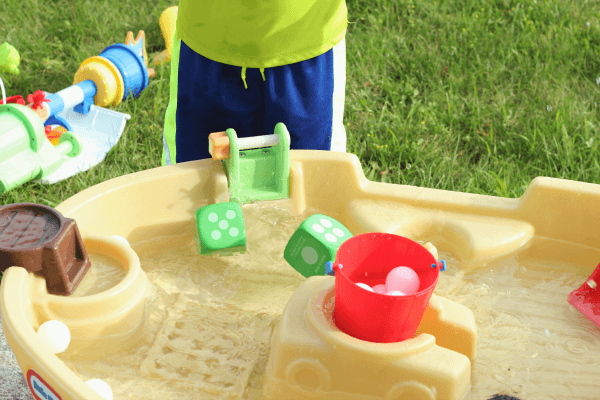 Because it is super simple to set up, we can play it again and again this summer! 1. 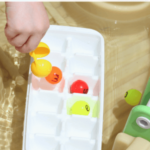 Throw the ping pong balls in the water table and add the dice to the water too. 2. Put the bucket or bowl in the table or right next to it. 3. Put your scooper or tongs in the water table as well. 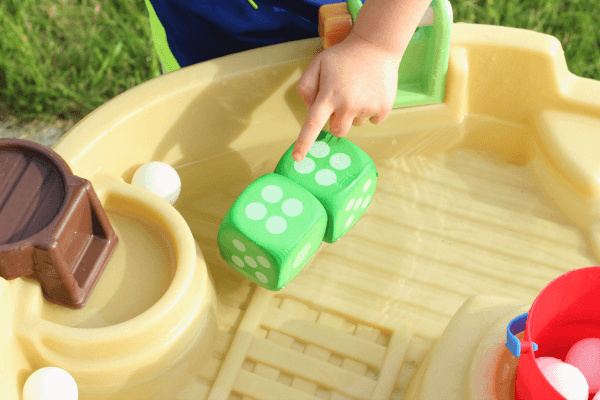 I instructed Evan to throw both dice into the water table. Then he counted the dots to add the numbers together. Once he added the numbers together, it was his task to collect that many ping pong balls and add them to the bucket. He used our scooper tongs to grab each ball. We really love these because he holds them just like scissors and using them is a great way to exercise the small hand muscles needed to use scissors. He still needs a lot of practice with this, but it isn’t always his favorite thing to do. However, he loves to use the scooper. This was a fun and highly effective way to work on one to one correspondence, adding two numbers and counting. 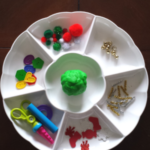 This post is part of the Math Made Fun with Manipulatives Series over at School Time Snippets. 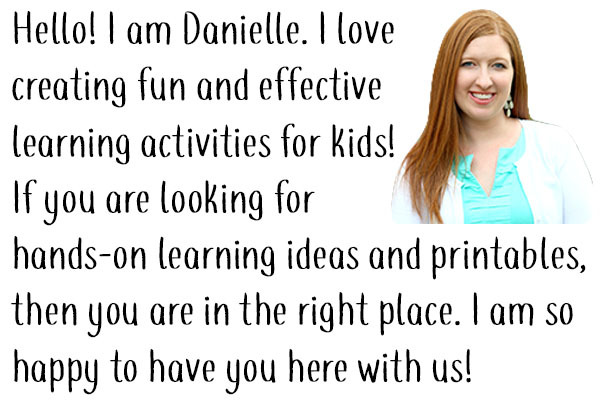 Check out all of the other posts by clicking the link above!